Run the MeasureOD® System without being connected to hardware. 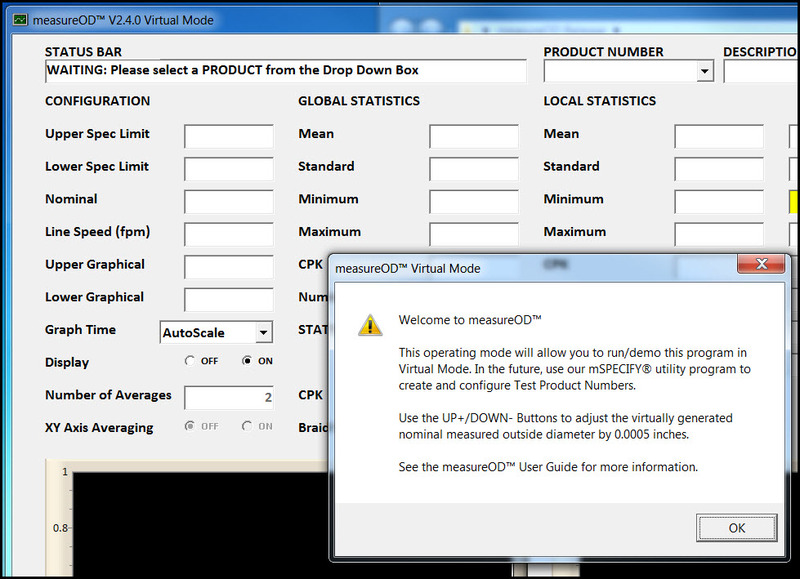 In this configuration, the software executes normally but the data generated by the Laser Micrometer interface is simulated. The test configurations that are developed in DEMO mode may be used fully when you decide to purchase the MeasureOD® System. Obtain and install MeasureOD®, MSPECIFY®, and MDATA® software programs from the DOWNLOAD page on this website. Install the MySQL ODBC driver (software and installation instructions are on the DOWNLOAD page). If you are installing the software on a CathCAD® licensed computer there is no need to install the MySQL ODBC driver as it will be already installed. Contact us at sales@cathcad.com and request a DEMO mode setup. We will create the necessary databases and provide you a User Access Code within 24 hours.